There’s no need to compromise on quality when you drive home in a used car from Land Rover Gulf Coast. We have plenty of used Land Rover vehicles in stock, as well as plenty of other used makes and models. 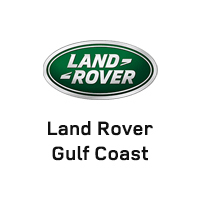 We carefully inspect each model for quality, so you know your next used car will be up to the high standards of Land Rover Gulf Coast. After you’ve perused our used inventory online, make your way to our dealership in Mobile for a closer look. Due to our varied stock of popular pre-owned options, we’re confident that you’ll find a model you love within your budget. Have questions? Feel free to contact us about our used inventory at any time before making your way from Destin to take a test drive. Certified. Premium Wheels, Navigation / GPS, Sunroof / Moonroof, Leather, Rear Back-Up Camera, Leather Seats, Heated Leather Seats, Heated and cooled seats, USB / AUX Ports, Keyless Entry, Memory Seat, Cruise Control, Steering Wheel Controls, Bluetooth / Hands free, Multi-zone Climate Control, 10 Speakers, Navigation System, Wheels: 18" 5 Split Spoke Sparkle Silver. Clean CARFAX. Land Rover Approved Certified Pre-Owned Details: * Transferable Warranty * Roadside Assistance * 165 Point Inspection * Up to 84 months/100,000 miles (whichever comes first) from original in-service date, including Trip Interruption Reimbursement * Vehicle History * Warranty Deductible: $0 Santorini Black Metallic 2016 Land Rover Discovery Sport HSE 4WD 9-Speed Automatic 2.0L I4 Turbocharged CARFAX One-Owner. Let the team at Joe Bullard introduce you to an entirely new kind of car-buying experience. You will love doing business with us no matter where you live! If you’re looking for your next Land Rover or Jaguar we have them! We stock over 200 pre-owned cars including all makes and models to fit your lifestyle! We have your next used car, truck or SUV and something for every taste and every need. If you want peace of mind our Certified sales staff and technicians are here to help! We offer a variety of financing opportunities! If you are asking yourself what is my trade worth, we can help you answer that too! Servicing the Mobile Alabama area and we ship to anywhere in the US! We stand up to what we say and its simple! The customer comes first! Visit us at any of our locations or 24/7 at www.joebullard.com. Navigation / GPS, Sunroof / Moonroof, 3rd Row Seat, Leather, Rear Back-Up Camera, Leather Seats, USB / AUX Ports, Keyless Entry, Cruise Control, Steering Wheel Controls, Premium Stereo, Multi-zone Climate Control, 11 Speakers, 19" 7-Spoke Alloy Wheels, 7 Seat Comfort Package, Front Xenon Headlamps w/LED Signature Lighting, HDD Navigation System w/Traffic Alert, HSE Exterior Badge, HSE Package, Navigation System, Parking Aid, Passive Keyless Entry, Power moonroof, Powerfold Mirrors, Premium audio system: Meridian, Rear Climate Control, Rear Luggage Net, Second-Row Fold-Flat Seating, SIRIUS Satellite & HD Radio, Third-Row Fold-Flat Seating, Third-Row Map Lights, Third-Row Side-Curtain Airbag SRS. Clean CARFAX. Odometer is 19659 miles below market average! Santorini Black Metallic 2015 Land Rover LR4 HSE 4WD 8-Speed Automatic 3.0L V6 CARFAX One-Owner. Let the team at Joe Bullard introduce you to an entirely new kind of car-buying experience. You will love doing business with us no matter where you live! If you’re looking for your next Land Rover or Jaguar we have them! We stock over 200 pre-owned cars including all makes and models to fit your lifestyle! We have your next used car, truck or SUV and something for every taste and every need. If you want peace of mind our Certified sales staff and technicians are here to help! We offer a variety of financing opportunities! If you are asking yourself what is my trade worth, we can help you answer that too! Servicing the Mobile Alabama area and we ship to anywhere in the US! We stand up to what we say and its simple! The customer comes first! Visit us at any of our locations or 24/7 at www.joebullard.com. Premium Wheels, Navigation / GPS, Sunroof / Moonroof, Leather, Rear Back-Up Camera, Heated and cooled seats, USB / AUX Ports, Keyless Entry, Memory Seat, Cruise Control, Steering Wheel Controls, Multi-zone Climate Control, Almond/Espresso/Almond/Ivory w/Full Oxford Perforated Leather Seat Trim, 13 Speakers, 4 Zone Climate Comfort Pack, 4-Zone Climate Control, Adaptive Xenon Headlamps w/High Beam Assist, Blind Spot Monitor w/Closing Vehicle Sensing, Front Cooler Box, Heated & Cooled Front Bucket Seats, Navigation System, Power moonroof, Power Rear Climate Seats w/Recline, Premium audio system: Meridian, Surround Camera System, Vision Assist Pack, Wheels: 22" 5 Split Spoke - Style 6. Luxor 2014 Land Rover Range Rover 5.0L V8 Supercharged 4WD 8-Speed Automatic 5.0L V8 Supercharged CARFAX One-Owner. Let the team at Joe Bullard introduce you to an entirely new kind of car-buying experience. You will love doing business with us no matter where you live! If you’re looking for your next Land Rover or Jaguar we have them! We stock over 200 pre-owned cars including all makes and models to fit your lifestyle! We have your next used car, truck or SUV and something for every taste and every need. If you want peace of mind our Certified sales staff and technicians are here to help! We offer a variety of financing opportunities! If you are asking yourself what is my trade worth, we can help you answer that too! Servicing the Mobile Alabama area and we ship to anywhere in the US! We stand up to what we say and its simple! The customer comes first! Visit us at any of our locations or 24/7 at www.joebullard.com. Certified. Premium Wheels, Navigation / GPS, Sunroof / Moonroof, Heated and cooled seats, Premium Stereo, Multi-zone Climate Control, Cirrus/Ebony/Cirrus/Cirrus w/Full Oxford Perforated Leather Seat Trim, Active Rear Locking Differential, Front dual zone A/C, Navigation System, Premium audio system: Meridian, Rover Tow Pack. Clean CARFAX. Odometer is 15011 miles below market average! Land Rover Approved Certified Pre-Owned Details: * Vehicle History * Transferable Warranty * Roadside Assistance * Warranty Deductible: $0 * Up to 84 months/100,000 miles (whichever comes first) from original in-service date, including Trip Interruption Reimbursement * 165 Point Inspection Mariana Black 2016 Land Rover Range Rover 5.0L V8 Supercharged 4WD 8-Speed Automatic 5.0L V8 Supercharged CARFAX One-Owner. Let the team at Joe Bullard introduce you to an entirely new kind of car-buying experience. You will love doing business with us no matter where you live! If you’re looking for your next Land Rover or Jaguar we have them! We stock over 200 pre-owned cars including all makes and models to fit your lifestyle! We have your next used car, truck or SUV and something for every taste and every need. If you want peace of mind our Certified sales staff and technicians are here to help! We offer a variety of financing opportunities! If you are asking yourself what is my trade worth, we can help you answer that too! Servicing the Mobile Alabama area and we ship to anywhere in the US! We stand up to what we say and its simple! The customer comes first! Visit us at any of our locations or 24/7 at www.joebullard.com. Navigation / GPS, Sunroof / Moonroof, Leather, Leather Seats, USB / AUX Ports, Keyless Entry, Memory Seat, Cruise Control, Steering Wheel Controls, Premium Stereo, 11 Speakers, Alloy wheels, Premium audio system: Meridian. Odometer is 13820 miles below market average! Santorini Black 2012 Land Rover Range Rover Evoque Pure Plus 4WD 6-Speed Automatic 2.0L I4 Let the team at Joe Bullard introduce you to an entirely new kind of car-buying experience. You will love doing business with us no matter where you live! If you’re looking for your next Land Rover or Jaguar we have them! We stock over 200 pre-owned cars including all makes and models to fit your lifestyle! We have your next used car, truck or SUV and something for every taste and every need. If you want peace of mind our Certified sales staff and technicians are here to help! We offer a variety of financing opportunities! If you are asking yourself what is my trade worth, we can help you answer that too! Servicing the Mobile Alabama area and we ship to anywhere in the US! We stand up to what we say and its simple! The customer comes first! Visit us at any of our locations or 24/7 at www.joebullard.com. New Price! Navigation / GPS, Sunroof / Moonroof, Leather, Rear Back-Up Camera, Leather Seats, Heated and cooled seats, USB / AUX Ports, Keyless Entry, Memory Seat, Cruise Control, Steering Wheel Controls, Premium Stereo, Multi-zone Climate Control, 17 Speakers, Alloy wheels, Navigation System, Premium audio system: Meridian. Clean CARFAX. Red 2014 Land Rover Range Rover Evoque Prestige 4WD 9-Speed Automatic 2.0L I4 Let the team at Joe Bullard introduce you to an entirely new kind of car-buying experience. You will love doing business with us no matter where you live! If you’re looking for your next Land Rover or Jaguar we have them! We stock over 200 pre-owned cars including all makes and models to fit your lifestyle! We have your next used car, truck or SUV and something for every taste and every need. If you want peace of mind our Certified sales staff and technicians are here to help! We offer a variety of financing opportunities! If you are asking yourself what is my trade worth, we can help you answer that too! Servicing the Mobile Alabama area and we ship to anywhere in the US! We stand up to what we say and its simple! The customer comes first! Visit us at any of our locations or 24/7 at www.joebullard.com. New Price! Certified. Premium Wheels, Navigation / GPS, Sunroof / Moonroof, Leather, Rear Back-Up Camera, Leather Seats, Heated and cooled seats, Portable Audio Connection, USB / AUX Ports, Keyless Entry, Memory Seat, Cruise Control, Steering Wheel Controls, Multi-zone Climate Control, 8 Speakers, Navigation System, Power moonroof, Wheels: 21" Dark Satin Grey (Style 507). Clean CARFAX. Land Rover Approved Certified Pre-Owned Details: * Roadside Assistance * 165 Point Inspection * Up to 84 months/100,000 miles (whichever comes first) from original in-service date, including Trip Interruption Reimbursement * Warranty Deductible: $0 * Vehicle History * Transferable Warranty Fuji White 2017 Land Rover Range Rover Sport 5.0L V8 Supercharged Dynamic 4WD 8-Speed Automatic 5.0L V8 Supercharged CARFAX One-Owner. Let the team at Joe Bullard introduce you to an entirely new kind of car-buying experience. You will love doing business with us no matter where you live! If you’re looking for your next Land Rover or Jaguar we have them! We stock over 200 pre-owned cars including all makes and models to fit your lifestyle! We have your next used car, truck or SUV and something for every taste and every need. If you want peace of mind our Certified sales staff and technicians are here to help! We offer a variety of financing opportunities! If you are asking yourself what is my trade worth, we can help you answer that too! Servicing the Mobile Alabama area and we ship to anywhere in the US! We stand up to what we say and its simple! The customer comes first! Visit us at any of our locations or 24/7 at www.joebullard.com. Recent Arrival! 5.0L V8 Supercharged Autobiography Backup Camera, Climate Comfort Package, DVD Player Rear Entertainment, Heated front seats, Heated rear seats, Keyless Entry, Leather Seats, Local Trade, Meridian Signature Audio Package, Multi-zone Climate Control, Navigation System, Portable Audio Connection, Premium Audio, Premium Wheels, Rear-Seat Entertainment, Santorini Black Contrast Roof, Security System, Soft Door Close, Steering Wheel Controls, Ventilated front seats, Wheels: 21" Unique Autobiography Alloy (Style 16). 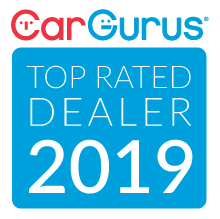 Corris Gray 2014 Land Rover Range Rover Sport 4WD When it comes to the world of luxury vehicles, few have the pedigree or commitment to continual technological improvement as does the INFINITI brand. INFINITI of Mobile has the staff trained with the knowledge to answer any questions about any of the used or pre-owned vehicle in our showroom or on our sales lot. INFINITI of Mobile also offers inventory specials from time to time. Call us or visit our website 24/7 at www.infinitiofmobile.com. 60/40 Split Folding Rear Seat, Adaptive Headlights w/High Beam Assist (AHBA), Auto-Dimming Exterior Mirrors, Blind Spot Monitor w/Closing Vehicle Sensing, Ebony Morzine Headlining, Front & Rear Premium Carpet Mats, Front Climate Comfort & Visibility Package, Front Cooler Box, Genuine wood console insert, Genuine wood dashboard insert, Genuine wood door panel insert, Grand Black Lacquer Wood Trim, Heated & Cooled Front Bucket Seats, Heated Front Windshield, Heated Rear Seat, Heated Steering Wheel, High Gloss Exterior Components, HSE Limited Edition, InControl Apps, Meridian Premium Surround Sound System, Noble Plated Paddle Shifters, Red SPORT Tailgate Badge, Stainless Steel Gas & Brake Pedals, TFT Virtual Instrument Display, Wheels: 21" 6 Spoke w/Diamond Finish (Style 602). Clean CARFAX. Aintree Green 2015 Land Rover Range Rover Sport 3.0L V6 Supercharged HSE 4WD 8-Speed Automatic 3.0L V6 Supercharged CARFAX One-Owner. Let the team at Joe Bullard introduce you to an entirely new kind of car-buying experience. You will love doing business with us no matter where you live! If you’re looking for your next Land Rover or Jaguar we have them! We stock over 200 pre-owned cars including all makes and models to fit your lifestyle! We have your next used car, truck or SUV and something for every taste and every need. If you want peace of mind our Certified sales staff and technicians are here to help! We offer a variety of financing opportunities! If you are asking yourself what is my trade worth, we can help you answer that too! Servicing the Mobile Alabama area and we ship to anywhere in the US! We stand up to what we say and its simple! The customer comes first! Visit us at any of our locations or 24/7 at www.joebullard.com. Premium Wheels, Navigation / GPS, Sunroof / Moonroof, Leather, Rear Back-Up Camera, Leather Seats, Heated and cooled seats, USB / AUX Ports, Keyless Entry, Memory Seat, Cruise Control, Steering Wheel Controls, Premium Stereo, Multi-zone Climate Control, Leather, 20 Speakers, 20" Kasuga 10 Double-Spoke Alloy Wheels, Navigation System, Power moonroof, Radio: Meridian 825W Premium Surround Sound System. Clean CARFAX. Blue 2014 Jaguar XJ Supercharged RWD 8-Speed Automatic 5.0L V8 32V Supercharged Gen III Let the team at Joe Bullard introduce you to an entirely new kind of car-buying experience. You will love doing business with us no matter where you live! If you’re looking for your next Land Rover or Jaguar we have them! We stock over 200 pre-owned cars including all makes and models to fit your lifestyle! We have your next used car, truck or SUV and something for every taste and every need. If you want peace of mind our Certified sales staff and technicians are here to help! We offer a variety of financing opportunities! If you are asking yourself what is my trade worth, we can help you answer that too! Servicing the Mobile Alabama area and we ship to anywhere in the US! We stand up to what we say and its simple! The customer comes first! Visit us at any of our locations or 24/7 at www.joebullard.com. Navigation / GPS, Leather, Rear Back-Up Camera, Leather Seats, Heated and cooled seats, USB / AUX Ports, Keyless Entry, Memory Seat, Cruise Control, Steering Wheel Controls, Premium Stereo, Warm Charcoal w/Ivory Stitch w/Softgrain Leather Seat Trim, 8 Speakers, Alloy wheels, Navigation System. Clean CARFAX. Odometer is 12513 miles below market average! Lunar Gray 2012 Jaguar XK RWD 6-Speed Automatic with Overdrive 5.0L AJ-V8 DOHC 32V Gen III CARFAX One-Owner. Let the team at Joe Bullard introduce you to an entirely new kind of car-buying experience. You will love doing business with us no matter where you live! If you’re looking for your next Land Rover or Jaguar we have them! We stock over 200 pre-owned cars including all makes and models to fit your lifestyle! We have your next used car, truck or SUV and something for every taste and every need. If you want peace of mind our Certified sales staff and technicians are here to help! We offer a variety of financing opportunities! If you are asking yourself what is my trade worth, we can help you answer that too! Servicing the Mobile Alabama area and we ship to anywhere in the US! We stand up to what we say and its simple! The customer comes first! Visit us at any of our locations or 24/7 at www.joebullard.com. Recent Arrival! Tradesman Odometer is 16457 miles below market average! 5.0" Touchscreen Display, Charge Only Remote USB Port, Cloth 40/20/40 Bench Seat, Front & Rear Floor Mats, GPS Antenna Input, Integrated Voice Command w/Bluetooth, Media Hub (USB, AUX), ParkView Rear Back-Up Camera, Popular Equipment Group, Quick Order Package 26B Tradesman, Radio: Uconnect 5.0, Rear Folding Seat, Rear View Auto Dim Mirror w/Display, Rear View Mirror w/Microphone, Remote Keyless Entry w/All-Secure, SIRIUSXM Satellite Radio, Storage Tray, Tradesman Package. Bright White Clearcoat 2016 Ram 1500 RWD CARFAX One-Owner. At Joe Bullard it’s more than cars; it’s family! That means no matter which of our 5 locations you’re at you’ll find the same caring attitude and quality pre-owned vehicles. Expect to find a one-stop shop with certified sales consultants, financing managers and service technicians from 6 different brands. As well as 200+ used cars, trucks, and SUVs that are sure to meet the needs of you and your family. We can physically serve the entire Gulf Coast from Pensacola, Mobile, to Gulf Port. But don’t let distance stop you, at www.joebullard.com you can find our full list of used and new vehicles and we’ll ship it nationwide! Maybe you’re not buying, but we are! Sell us your unwanted vehicles as well! New Price! Priced Below Clean Trade! Laramie Backup Camera, Bluetooth Hands Free, Remote Start, Keyless Entry, Heated & Cooled Leather Seats, 3.42 Rear Axle Ratio, Chrome Exterior Mirrors, Exterior Mirrors Courtesy Lamps, Exterior Mirrors w/Heating Element, Exterior Mirrors w/Memory, Exterior Mirrors w/Supplemental Signals, Front dual zone A/C, Heated Front Seats, Memory seat, Power Folding Chrome Trailer Tow Mirrors, Power Folding Mirrors, Quick Order Package 2FH Laramie, Radio: Uconnect 8.4, RAM Active Air, Remote keyless entry, Steering wheel mounted audio controls, Storage Tray, Tow Hooks, Trailer Tow Mirrors, Ventilated front seats, Wheels: 18" x 8.0" Polished Aluminum. Bright Silver Metallic Clearcoat 2016 Ram 2500 4WD CARFAX One-Owner. At Joe Bullard it's more than cars; it's family! That means no matter which of our 5 locations you're at you'll find the same caring attitude and quality pre-owned vehicles. Expect to find a one-stop shop with certified sales consultants, financing managers and service technicians from 6 different brands. As well as 200+ used cars, trucks, and SUVs that are sure to meet the needs of you and your family. We can physically serve the entire Gulf Coast from Pensacola, Mobile, to Gulf Port. But don't let distance stop you, at www.joebullard.com you can find our full list of used and new vehicles and we'll ship it nationwide! Maybe you're not buying, but we are! Sell us your unwanted vehicles as well! Navigation / GPS, Sunroof / Moonroof, Leather, Rear Back-Up Camera, Heated Leather Seats, USB / AUX Ports, Keyless Entry, Memory Seat, Cruise Control, Steering Wheel Controls, Multi-zone Climate Control, 9 Speakers, Advanced Real-Time Traffic Information, Automatic High Beams, Executive Package, Hands-Free Bluetooth & USB Audio Connection, Head-Up Display, Heated Front Seats, Icon Adaptive Full LED Headlights, Instrument Cluster w/Extended Contents, Lumbar Support, M Sport Package (337), Navigation System, Parking Assistant, Power moonroof, Premium Package, Remote Services, Side & Top View Cameras, Speed Limit Information. Clean CARFAX. Alpine White 2018 BMW 4 Series 430i xDrive Gran Coupe AWD 8-Speed Automatic Sport 2.0L 4-Cylinder DOHC 16V Turbocharged Let the team at Joe Bullard introduce you to an entirely new kind of car-buying experience. You will love doing business with us no matter where you live! If you’re looking for your next Land Rover or Jaguar we have them! We stock over 200 pre-owned cars including all makes and models to fit your lifestyle! We have your next used car, truck or SUV and something for every taste and every need. If you want peace of mind our Certified sales staff and technicians are here to help! We offer a variety of financing opportunities! If you are asking yourself what is my trade worth, we can help you answer that too! Servicing the Mobile Alabama area and we ship to anywhere in the US! We stand up to what we say and its simple! The customer comes first! Visit us at any of our locations or 24/7 at www.joebullard.com. New Price! SR5 Navigation System, Odometer is 7555 miles below market average! 3rd Row Seats, Exterior Parking Camera Rear, Heated door mirrors, Illuminated entry, Leather Seats, Local Trade, Multi-zone Climate Control, Navigation System, Portable Audio Connection, Premium Audio, Premium Wheels, Remote keyless entry, Security System, Steering Wheel Controls, Trailer Hitch. Clean CARFAX. Super White 2017 Toyota 4Runner RWD CARFAX One-Owner. When it comes to the world of luxury vehicles, few have the pedigree or commitment to continual technological improvement as does the INFINITI brand. INFINITI of Mobile has the staff trained with the knowledge to answer any questions about any of the used or pre-owned vehicle in our showroom or on our sales lot. INFINITI of Mobile also offers inventory specials from time to time. Call us or visit our website 24/7 at www.infinitiofmobile.com. New Price! 2.0T Premium Plus S Line Odometer is 35694 miles below market average! 3-Step Heated Front Seats, Audi Advanced Key, Audi Parking System Plus w/Rearview Camera, Audi Xenon Plus Lights w/LED DRLs & Taillights, Cold Weather Package, Headlight Washers, Keyless Entry, Leather Seats, Local Trade, Memory Function for Driver, Multi-zone Climate Control, Navigation System, Portable Audio Connection, Premium Audio, Premium Plus Package, Premium Wheels, S Line Exterior Kit, Security System, Split-Folding Rear Seatback, Steering Wheel Controls, Wheels: 8.0J x 18" 10-Spoke-Exclusive-RS-Design. Moonlight Blue Metallic 2014 Audi A4 FrontTrak 24/32 City/Highway MPG CARFAX One-Owner. When it comes to the world of luxury vehicles, few have the pedigree or commitment to continual technological improvement as does the INFINITI brand. INFINITI of Mobile has the staff trained with the knowledge to answer any questions about any of the used or pre-owned vehicle in our showroom or on our sales lot. INFINITI of Mobile also offers inventory specials from time to time. Call us or visit our website 24/7 at www.infinitiofmobile.com. Navigation / GPS, Sunroof / Moonroof, Leather, Rear Back-Up Camera, Heated Leather Seats, Portable Audio Connection, USB / AUX Ports, Keyless Entry, Memory Seat, Cruise Control, Steering Wheel Controls, Multi-zone Climate Control, 10 Speakers, Alloy wheels, Navigation System, Power moonroof. Daytona Gray Pearl Effect 2016 Audi A7 3.0T Premium Plus quattro quattro 8-Speed Automatic with Tiptronic 3.0L V6 Turbocharged DOHC 24V ULEV II 333hp CARFAX One-Owner. Let the team at Joe Bullard introduce you to an entirely new kind of car-buying experience. You will love doing business with us no matter where you live! If you’re looking for your next Land Rover or Jaguar we have them! We stock over 200 pre-owned cars including all makes and models to fit your lifestyle! We have your next used car, truck or SUV and something for every taste and every need. If you want peace of mind our Certified sales staff and technicians are here to help! We offer a variety of financing opportunities! If you are asking yourself what is my trade worth, we can help you answer that too! Servicing the Mobile Alabama area and we ship to anywhere in the US! We stand up to what we say and its simple! The customer comes first! Visit us at any of our locations or 24/7 at www.joebullard.com. Recent Arrival! SLT-1 Navigation System, DVD Player Rear Entertainment, Backup Camera, Bluetooth Hands Free, 20" x 7.5" Aluminum Wheels, 8-Way Power Driver Seat, 8-Way Power Passenger Seat Adjuster, Acoustical Insulation Package, Bose Premium 10-Speaker Audio System, Dual SkyScape 2-Panel Power Sunroof, Forward Collision Alert & Lane Departure Warning, Inside Rear-View Auto-Dimming Mirror, Leather-Wrapped Steering Wheel, Navigation System, Open Road Package, Power Rear Liftgate Body, Preferred Equipment Group 4SA, Premium Edition Package, Rear Seat DVD Entertainment System, Remote Vehicle Start, Steering Wheel Mounted Audio Controls, Tilt & Telescopic Steering Column, Tri-Zone Automatic Climate Control, Universal Home Remote, Variable Effort Power Steering. Clean CARFAX. Ebony Twilight Metallic 2016 GMC Acadia FWD CARFAX One-Owner. At Joe Bullard it’s more than cars; it’s family! That means no matter which of our 5 locations you’re at you’ll find the same caring attitude and quality pre-owned vehicles. Expect to find a one-stop shop with certified sales consultants, financing managers and service technicians from 6 different brands. As well as 200+ used cars, trucks, and SUVs that are sure to meet the needs of you and your family. We can physically serve the entire Gulf Coast from Pensacola, Mobile, to Gulf Port. But don’t let distance stop you, at www.joebullard.com you can find our full list of used and new vehicles and we’ll ship it nationwide! Maybe you’re not buying, but we are! Sell us your unwanted vehicles as well! Recent Arrival! 2015 Honda Accord Hybrid Touring 2.0L 4-Cylinder i-VTEC: Note: Hybrid components have a 8 year / 80,000 mile warranty, Ivory w/Leather-Trimmed Seats, Backup Camera, Blind Spot Information System, Bluetooth, CD Player, Cruise Control, Heated Seats, Honda Satellite-Linked Navigation System, Keyless Entry, Leather Seats, Local Trade, Multi-zone Climate Control, One Owner, Premium Wheels, Rear Cross Traffic Monitor, Steering Wheel Controls, Sunroof Moonroof. Located at Joe Bullard Acura. Champagne Frost Pearl 2015 Honda Accord FWD eCVT 2.0L 4-Cylinder i-VTEC 50/45 City/Highway MPG CARFAX One-Owner. Awards: * 2015 KBB.com Brand Image Awards 2016 Kelley Blue Book Brand Image Awards are based on the Brand Watch(tm) study from Kelley Blue Book Market Intelligence. Award calculated among non-luxury shoppers. For more information, visit www.kbb.com. Kelley Blue Book is a registered trademark of Kelley Blue Book Co., Inc.